The Law Offices of James M. Rodgers, PLLC is a full service personal injury, tort and civil litigation law firm located in the Vermont Building at 1222 Putney Road, just north of the I-91 exit 3 rotary in Brattleboro, Vermont. 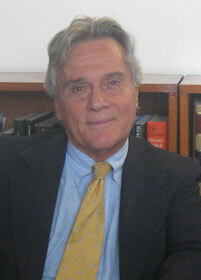 Originally from New York, Attorney Rodgers came to Vermont in 1986 after living and working outside the United States for nearly 15 years as university professor (University of Paris/Sorbonne Nouvelle), consultant to the United Nations (Geneva), and Chief of Party for an international development non-governmental organization. A graduate of Columbia College, the University of Wisconsin (Madison) and the University of Rochester, where he received his Ph.D., Attorney Rodgers trained with several attorneys as their clerk under the Vermont Clerkship Program and was admitted to the Vermont State and Federal Bars in 1996. He served as Board Member, including as Vice-President, of the Vermont Bar Foundation, from 2003 to 2007. He served as a volunteer of the Bar Foundation until 2015. Attorney Rodgers was recognized in May 2011 by being selected as a Senior Fulbright Fellow and Specialist in Law. He worked as a Fulbright Specialist with the Nelson Mandela Metropolitan University, located in Port Elizabeth, Republic of South Africa. He also served as a Fulbright Specialist with the Kobe City University of Foreign Studies in Kobe, Japan from November to December 2014. This recognition was the result of a highly competitive selection process available to qualified applicants from throughout the United States and abroad. Attorney Rodgers was formerly a partner with the Brattleboro law firm of Reid & Rodgers, PLC. He opened his own firm in January of 2006 in order to better serve his clients statewide. He typically works on a contingent fee basis which is a percentage of the client’s recovery. He accepts referrals from other attorneys, and is willing to serve as local counsel on cases from outside Vermont.